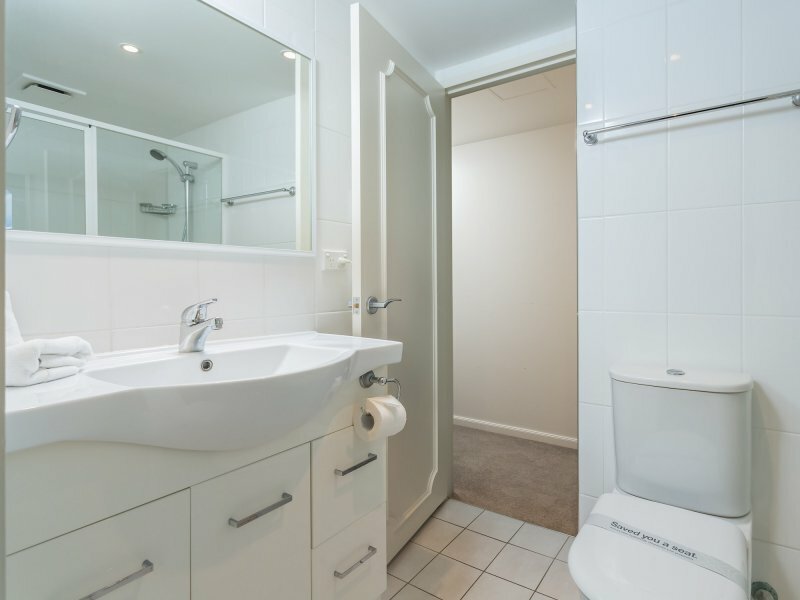 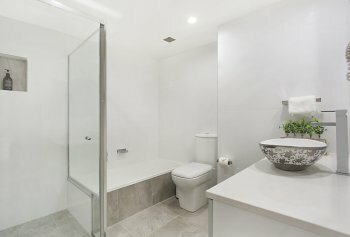 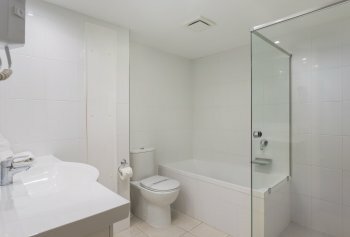 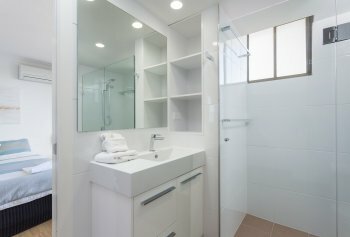 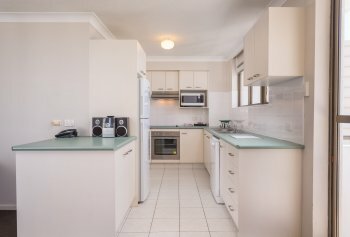 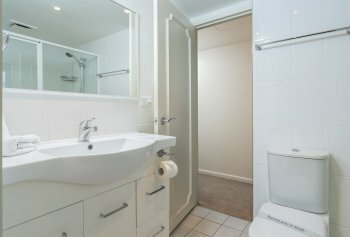 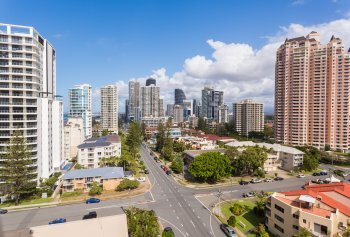 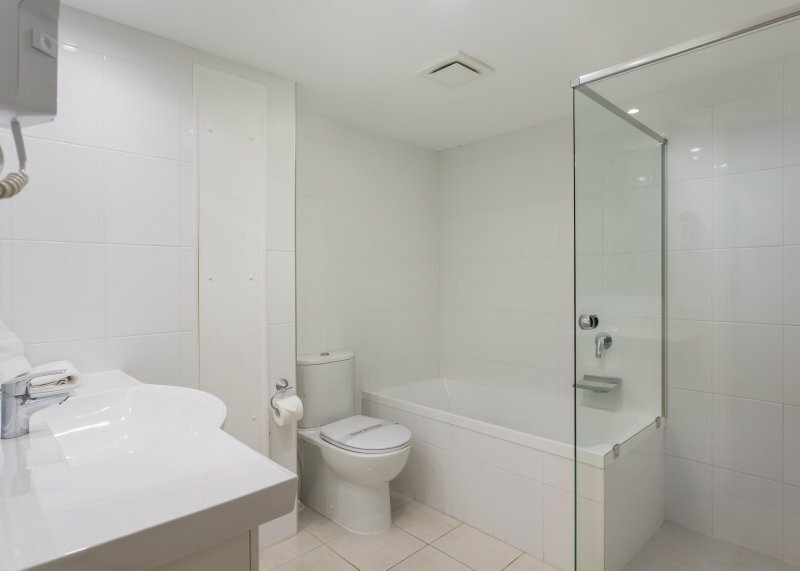 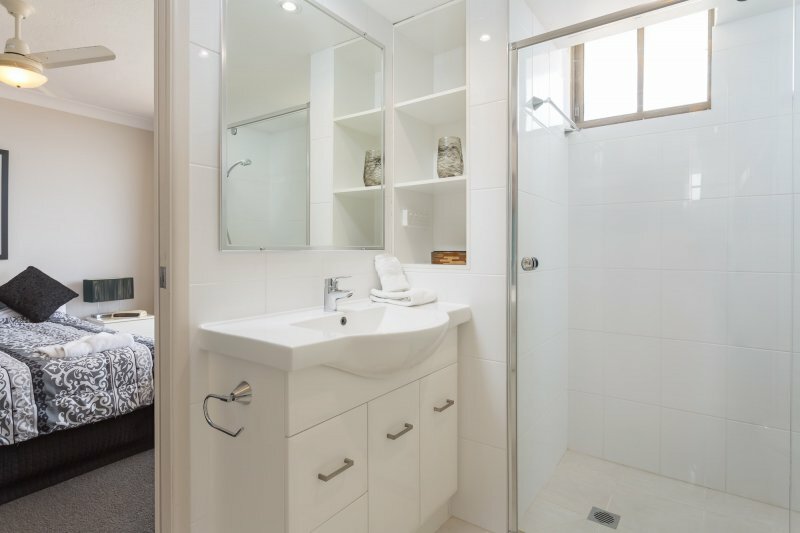 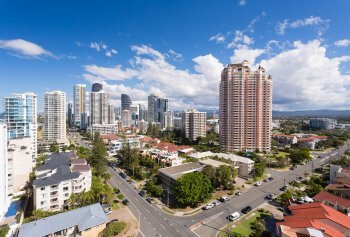 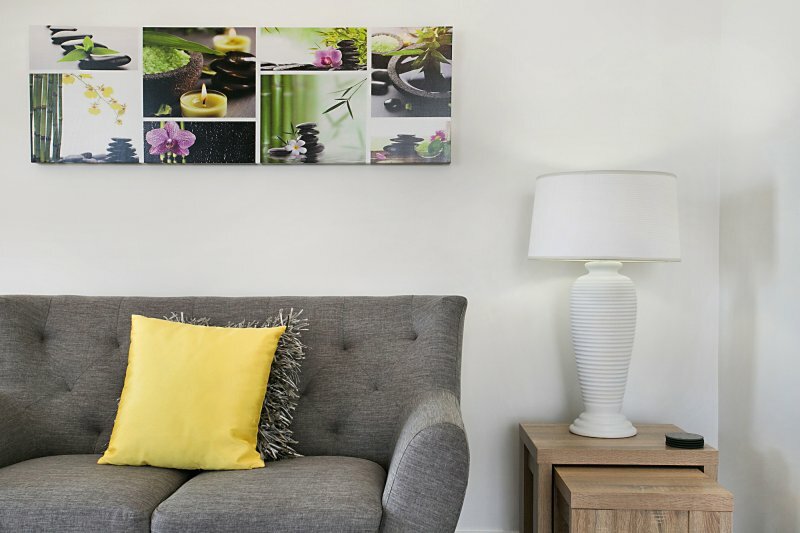 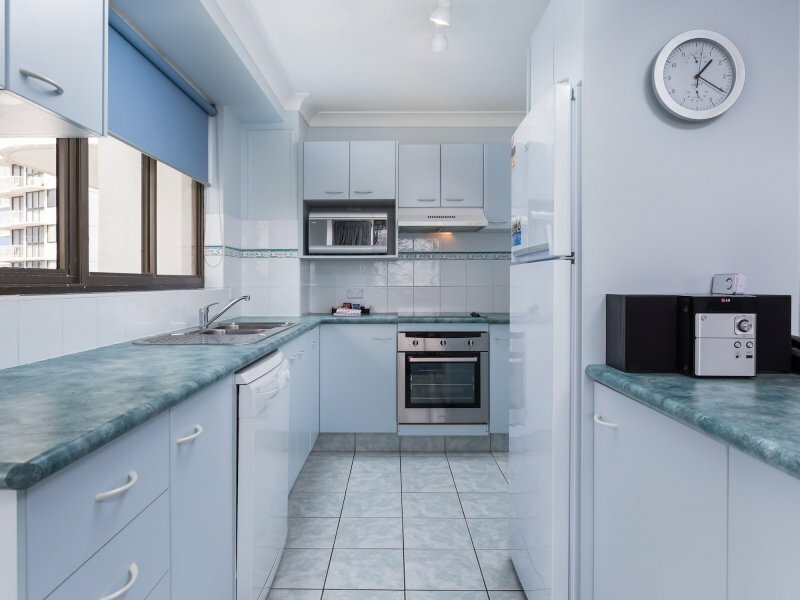 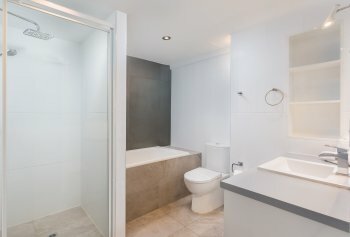 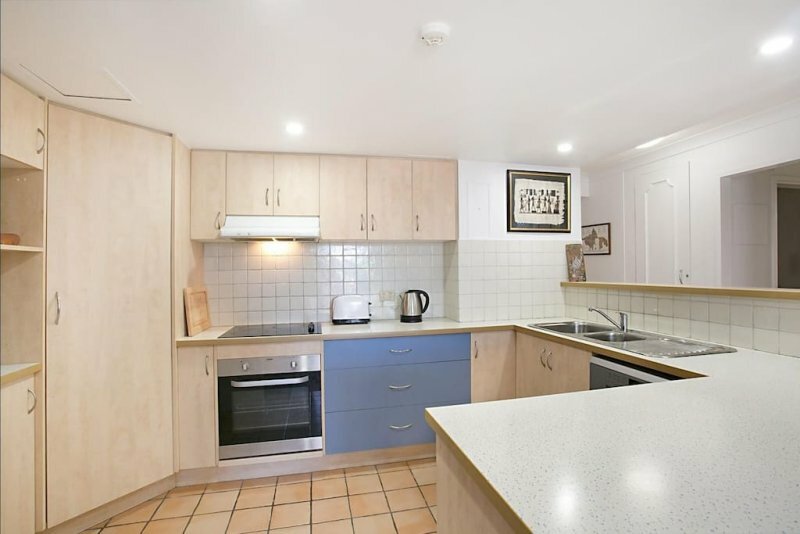 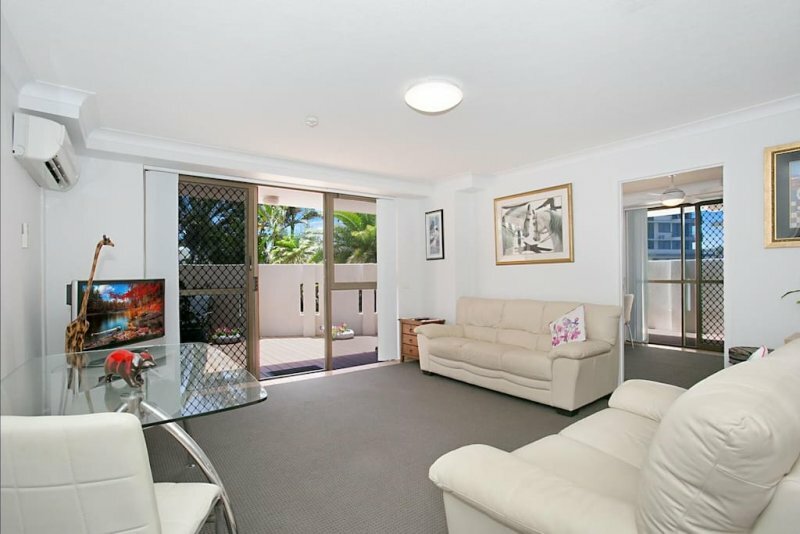 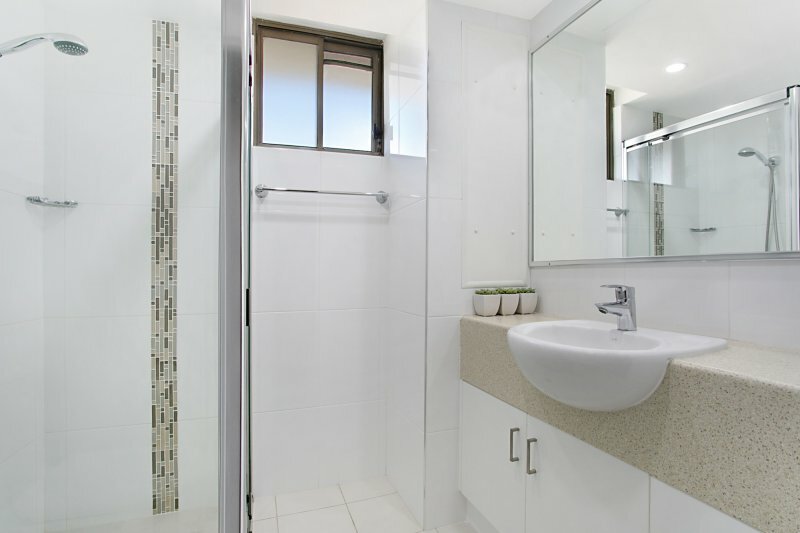 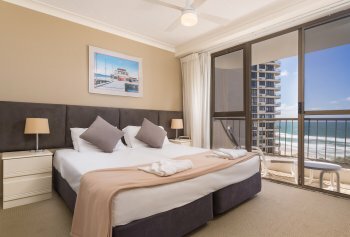 Our spacious Broadbeach holiday apartments offer everything to help our guests feel at home in the vibrant city of the Gold Coast. 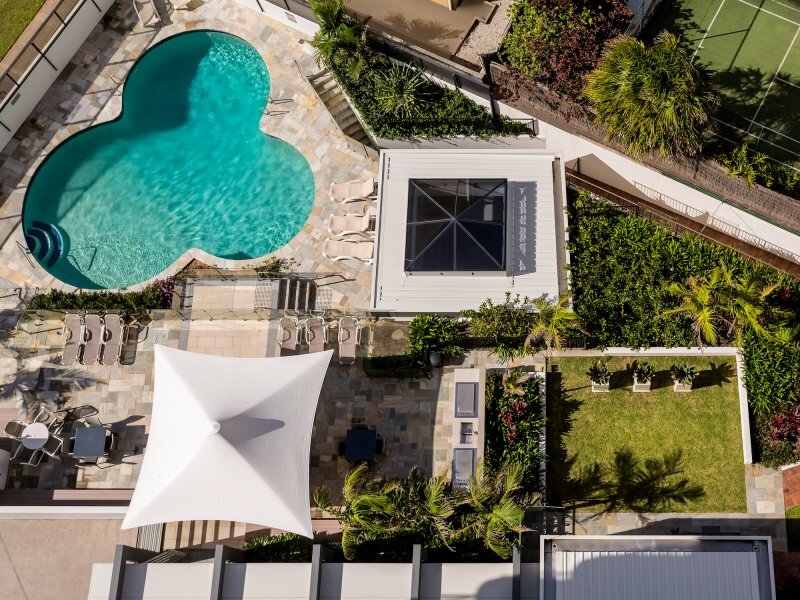 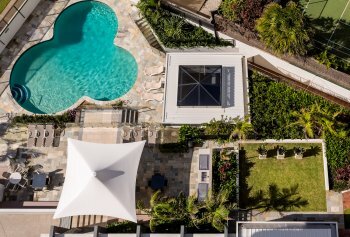 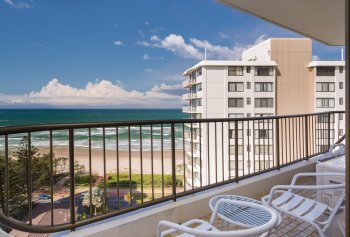 Our sun-drenched balconies encourage you to idle time away whilst enjoying spectacular views of both the Pacific Ocean and the lush Gold Coast Hinterland. 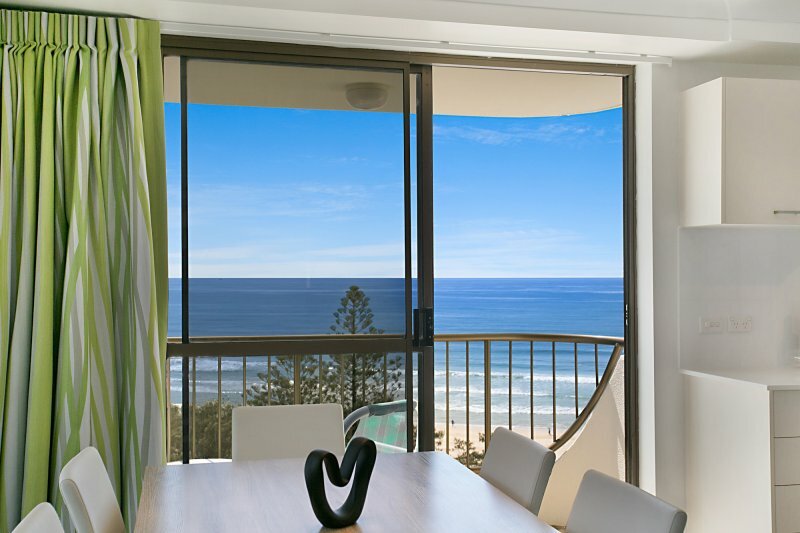 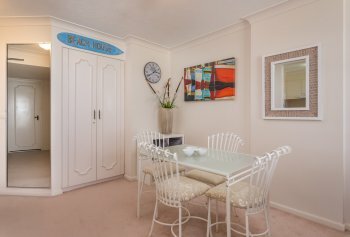 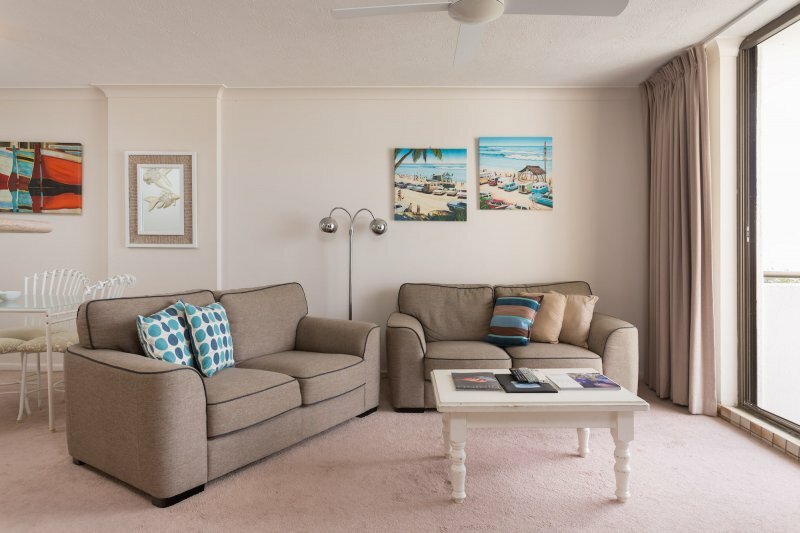 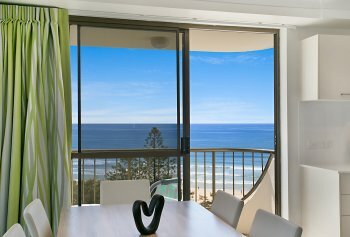 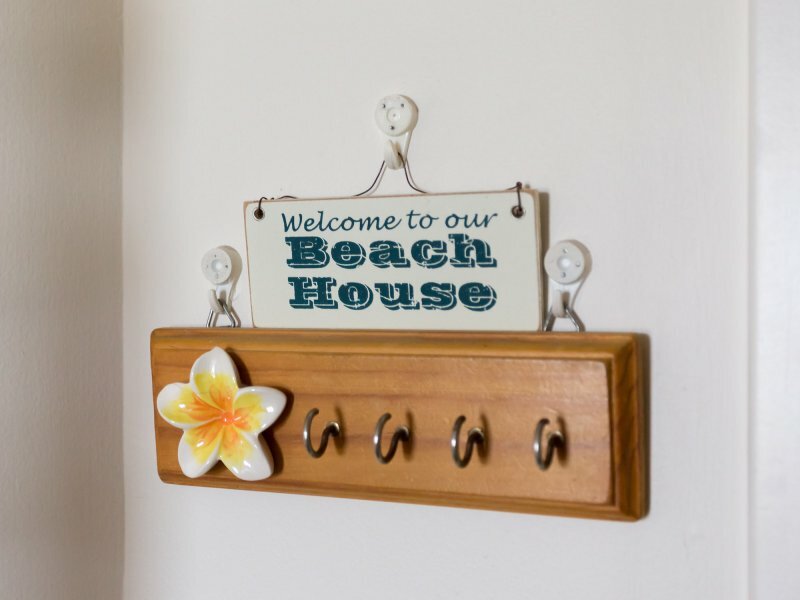 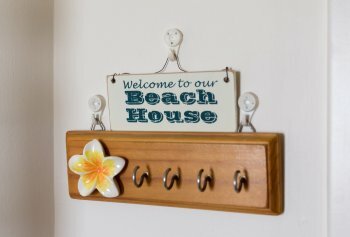 Ocean Royale Apartments are large and cosy and allow you to entertain comfortably or simply relax with the family. 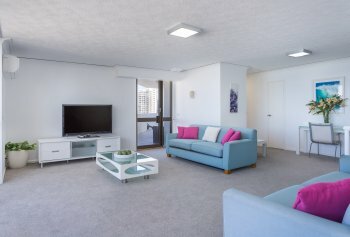 We have a selection of fully self contained 1 and 2 bedroom apartments. 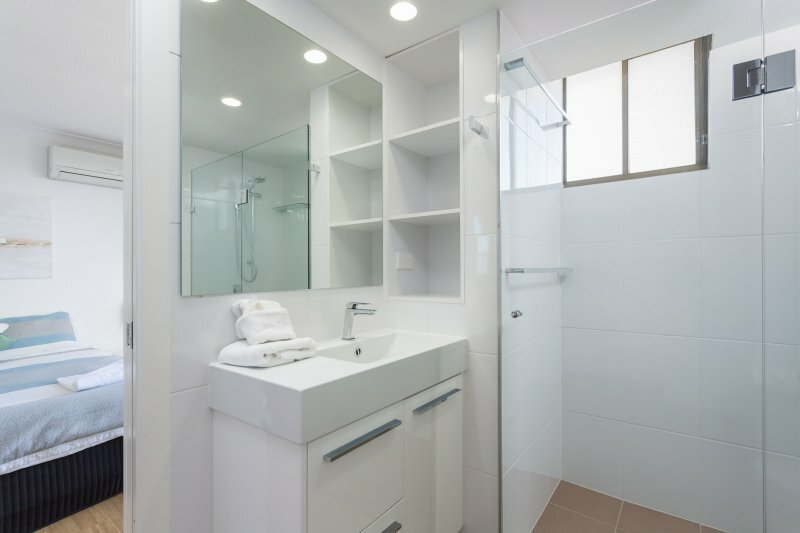 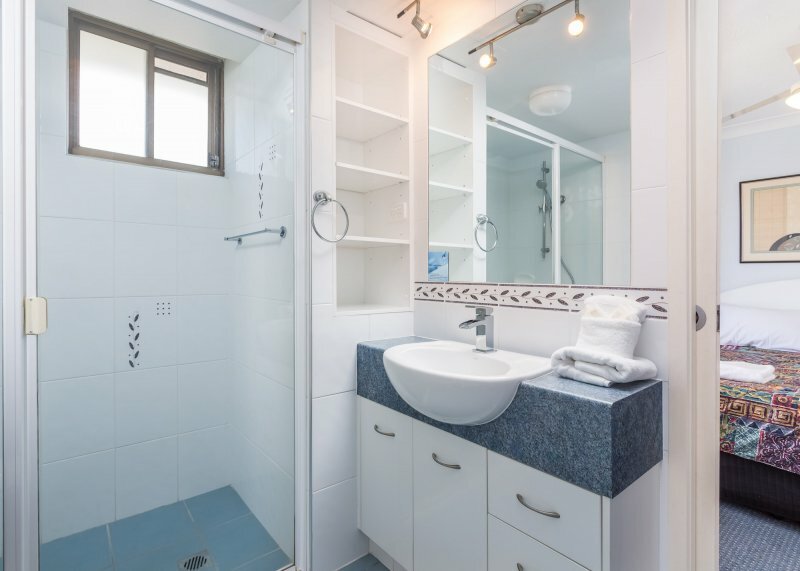 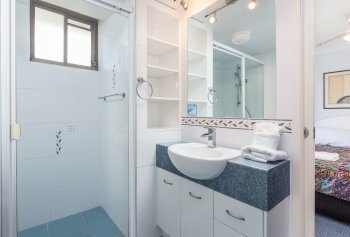 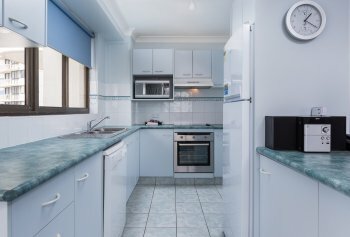 Complete and beautifully furnished, each apartment is fitted with a phone, satellite cable TV, dishwasher, microwave and conventional oven, washer, dryer, iron, hairdryer and ceiling fans. 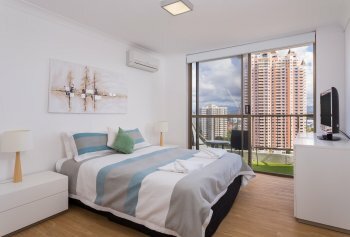 Most apartment units are air-conditioned. 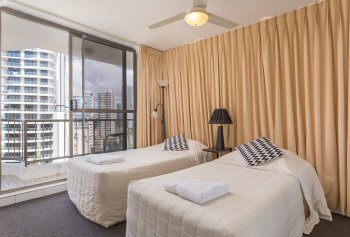 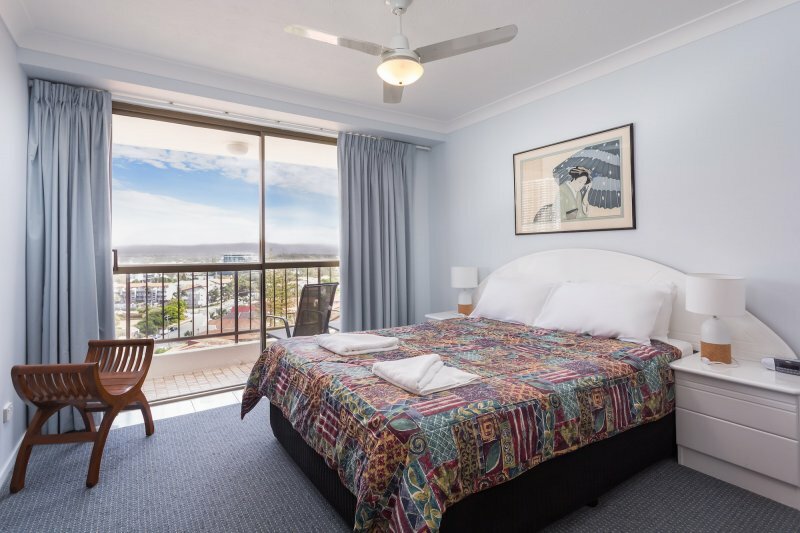 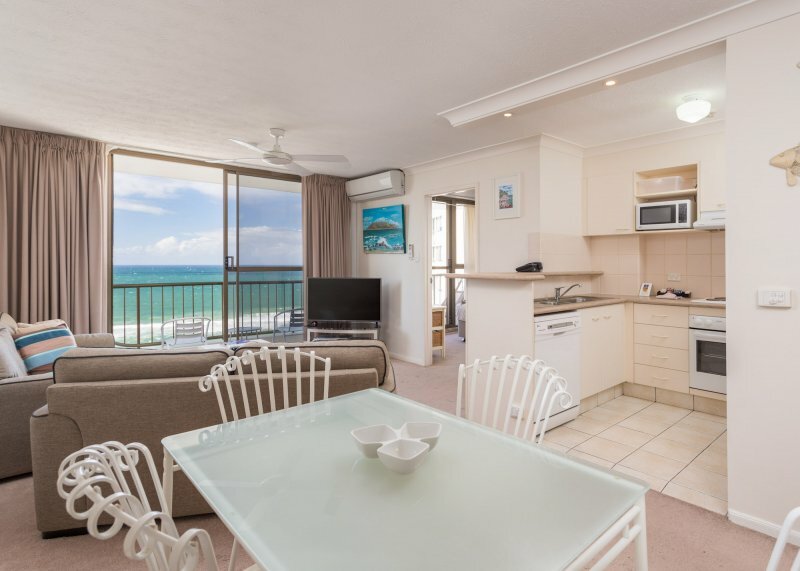 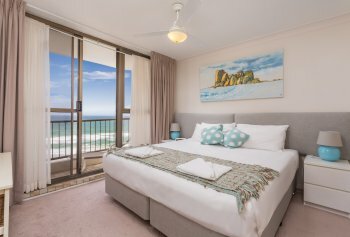 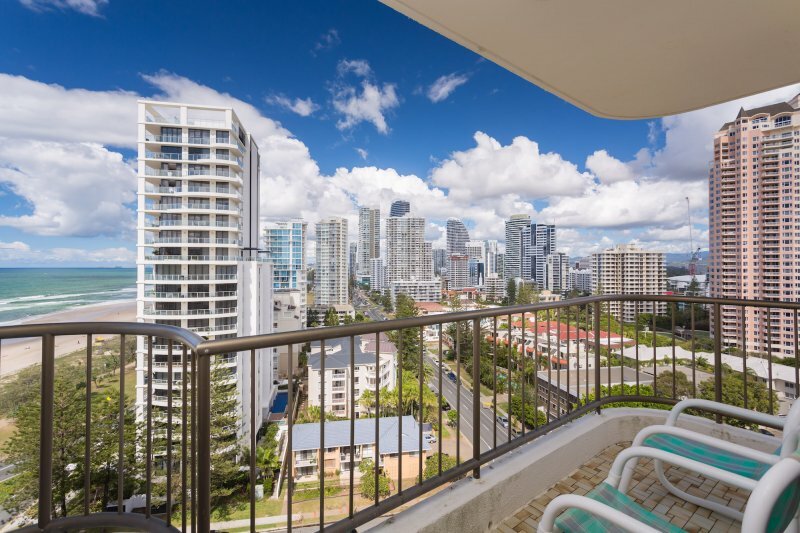 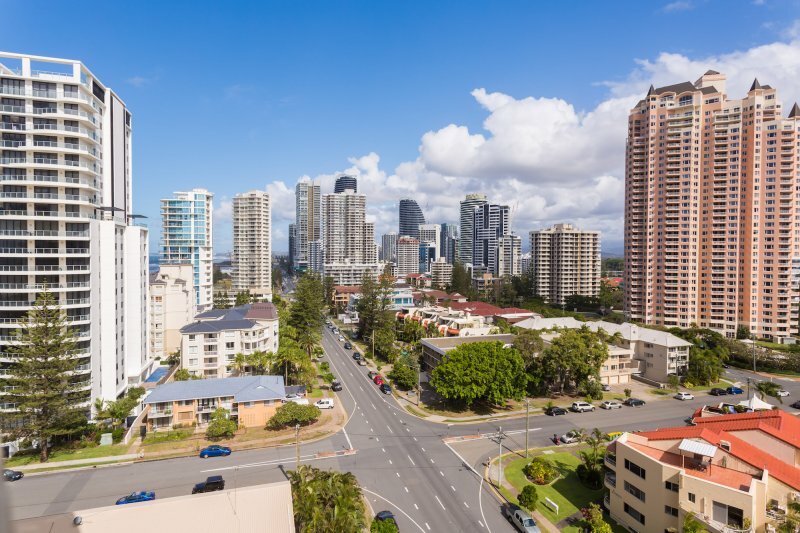 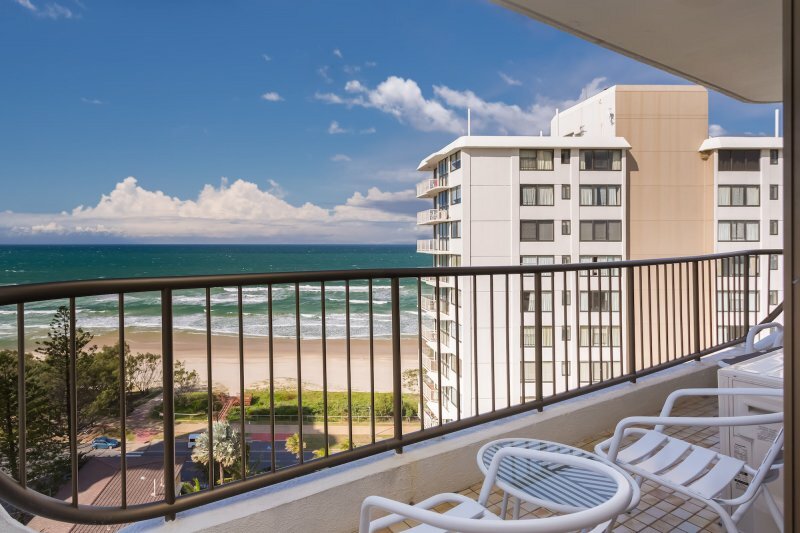 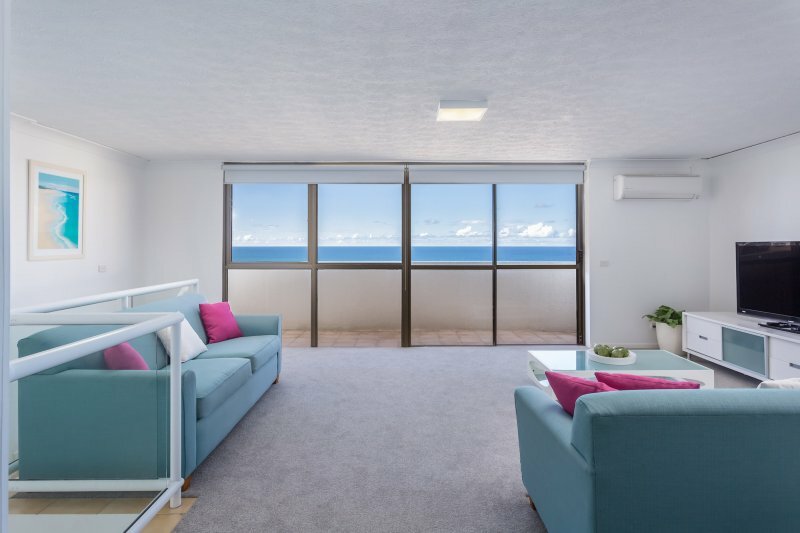 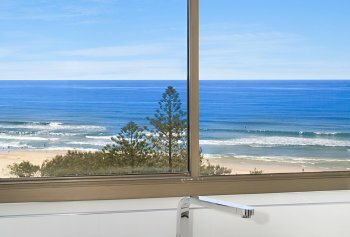 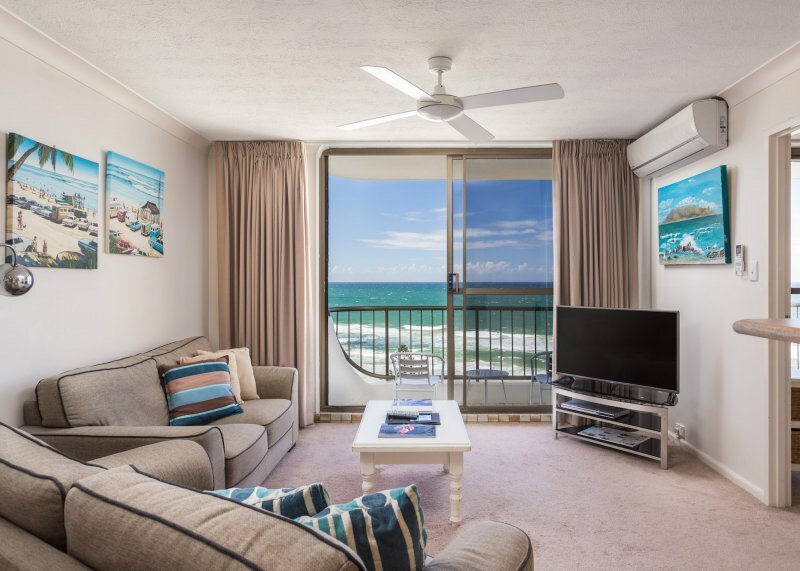 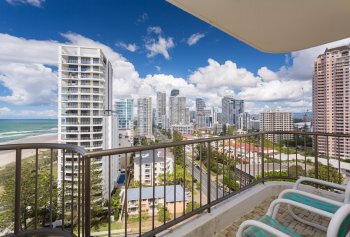 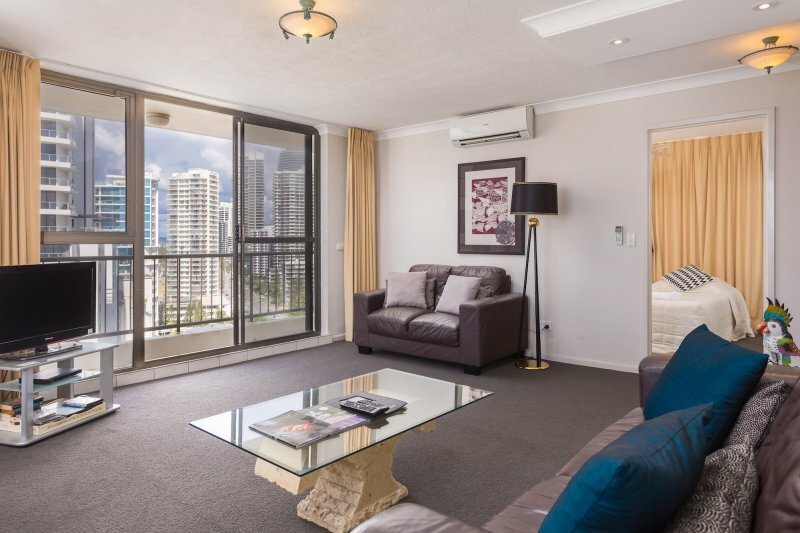 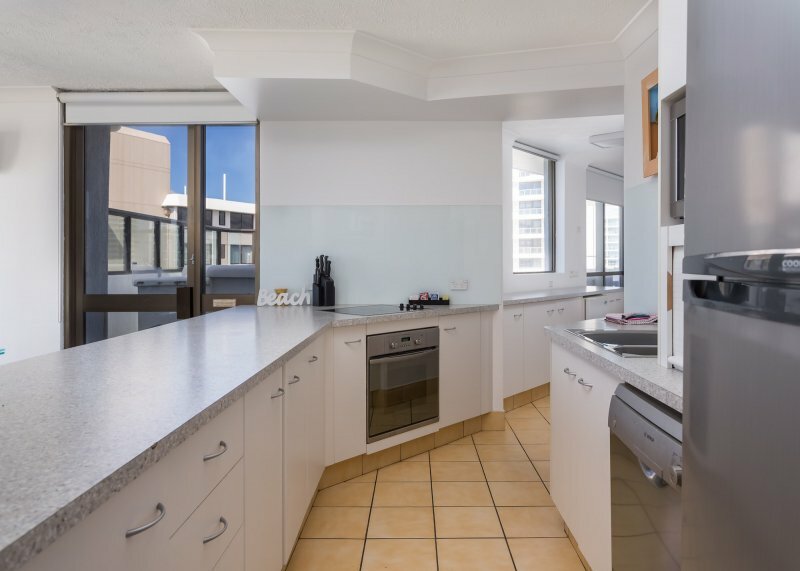 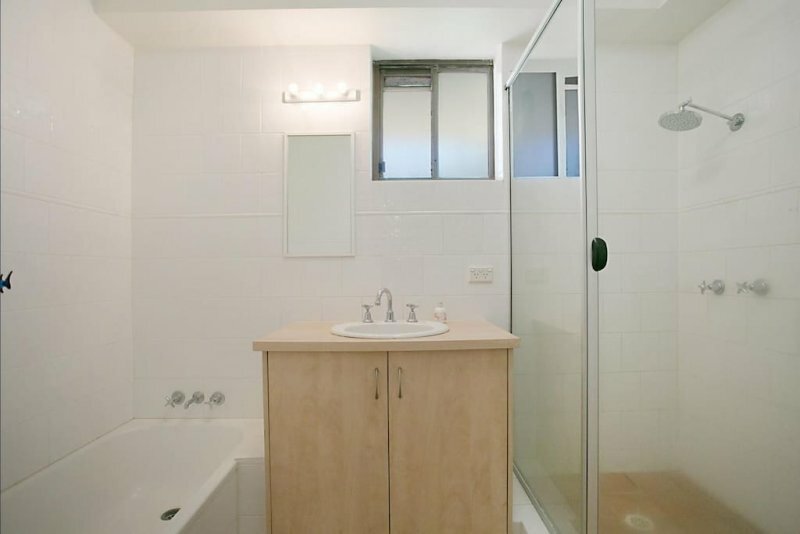 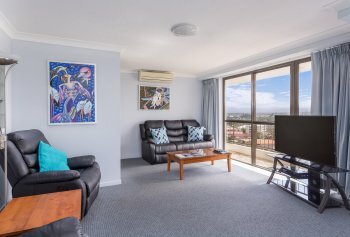 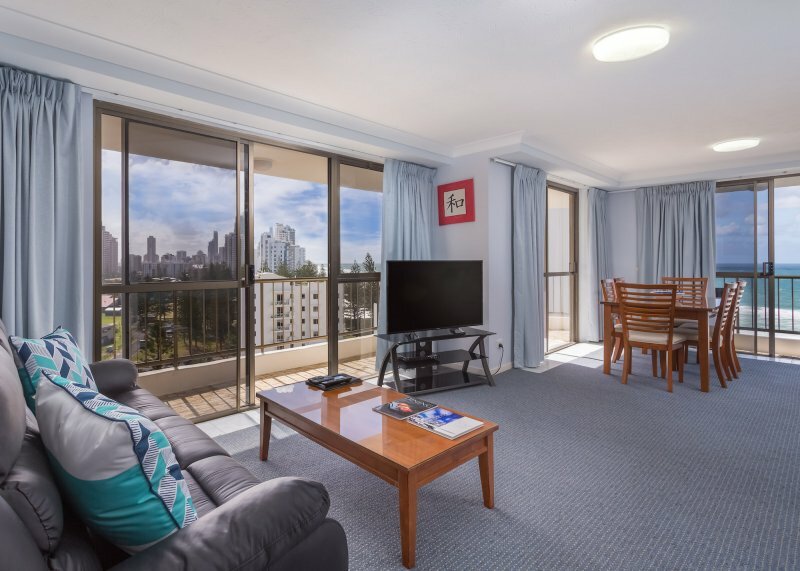 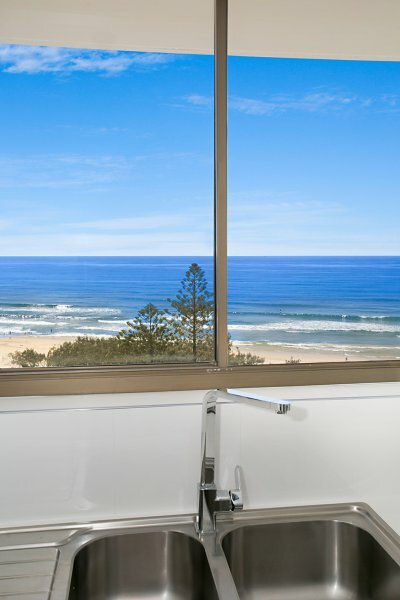 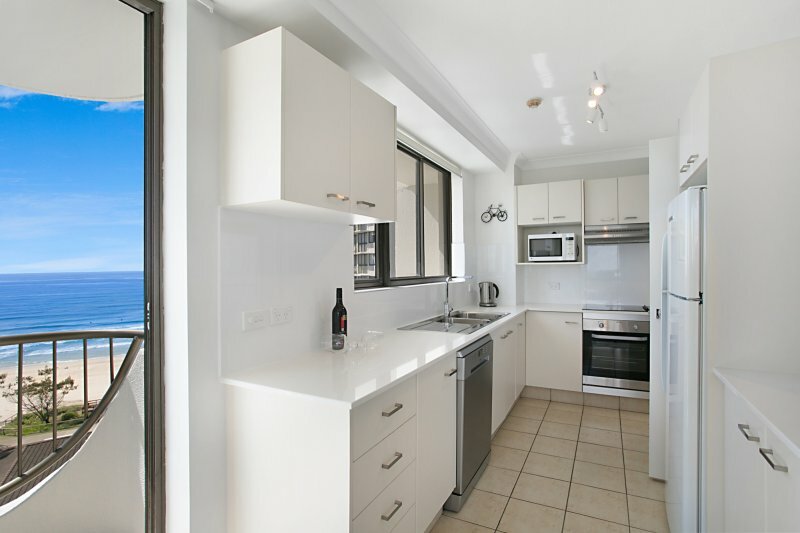 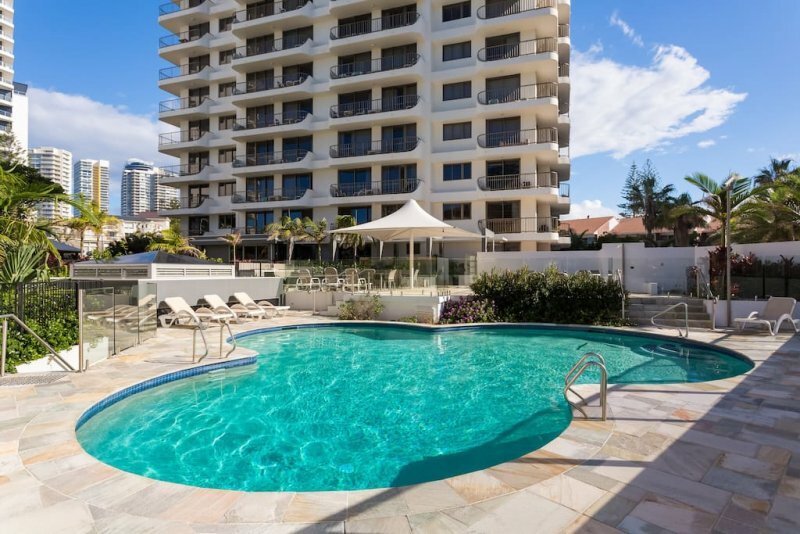 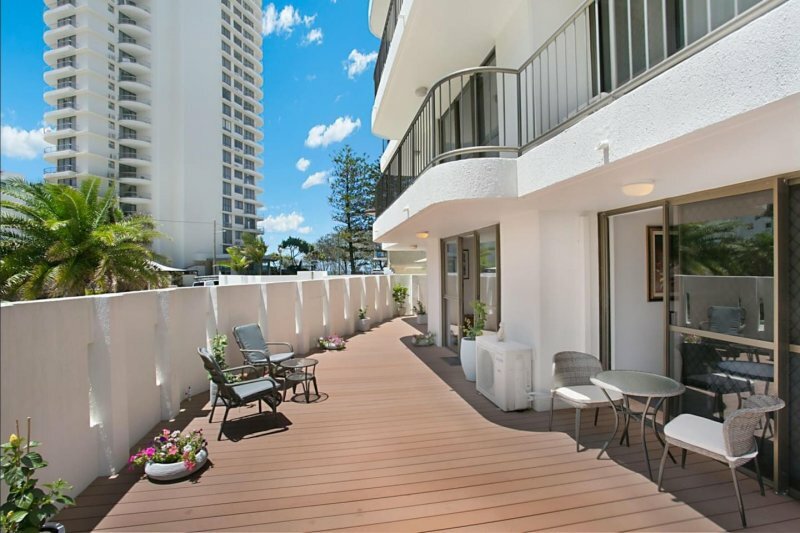 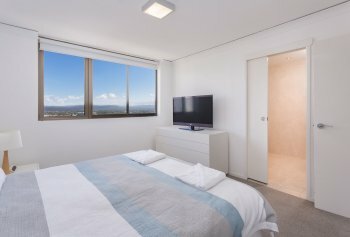 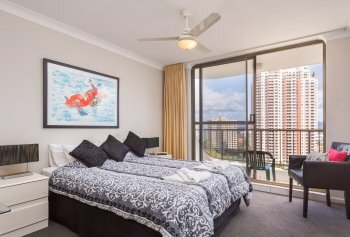 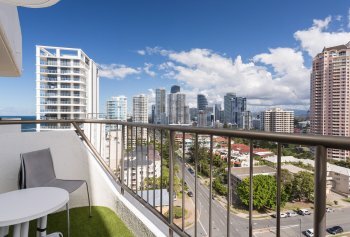 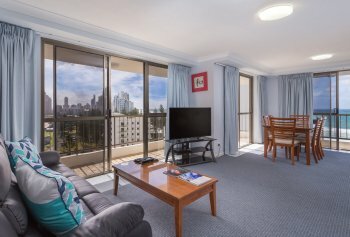 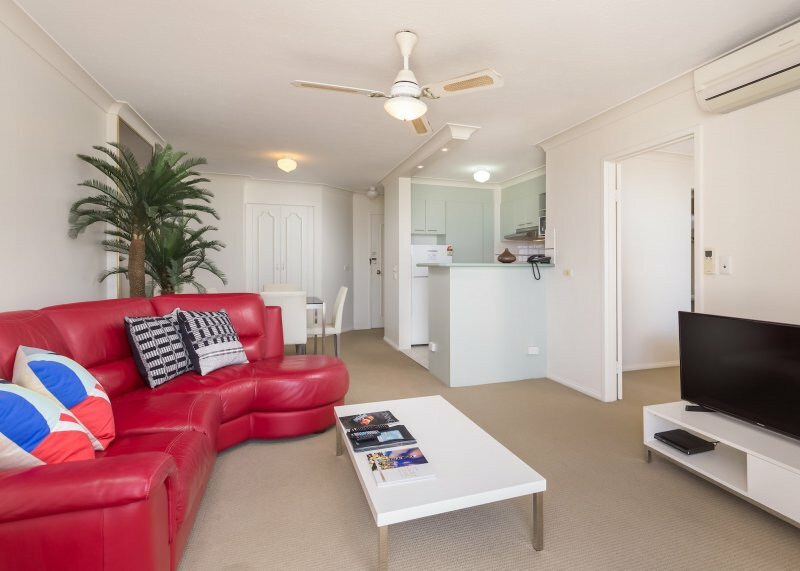 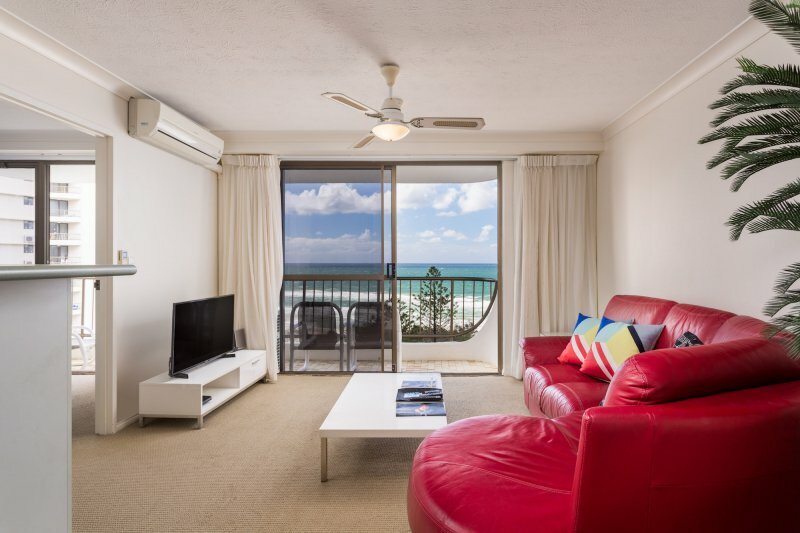 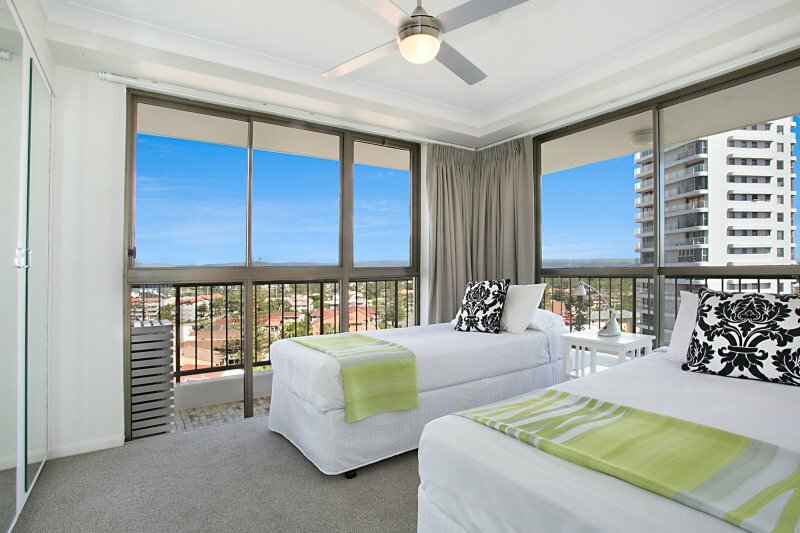 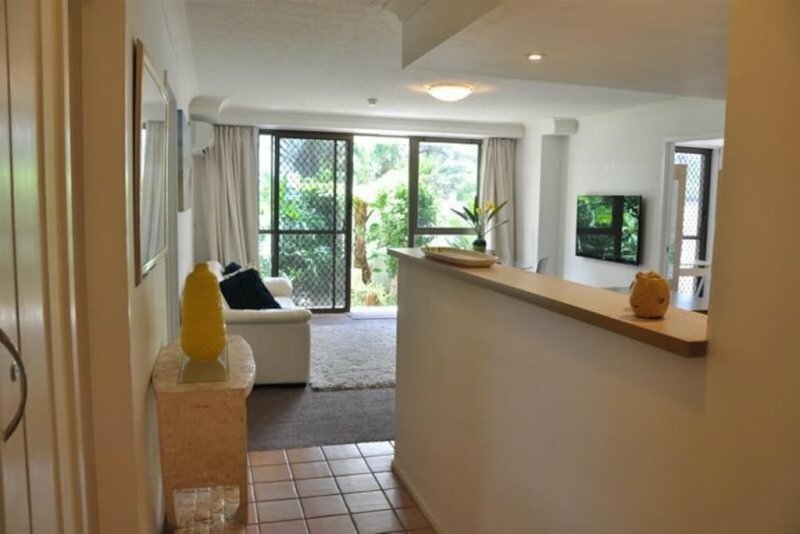 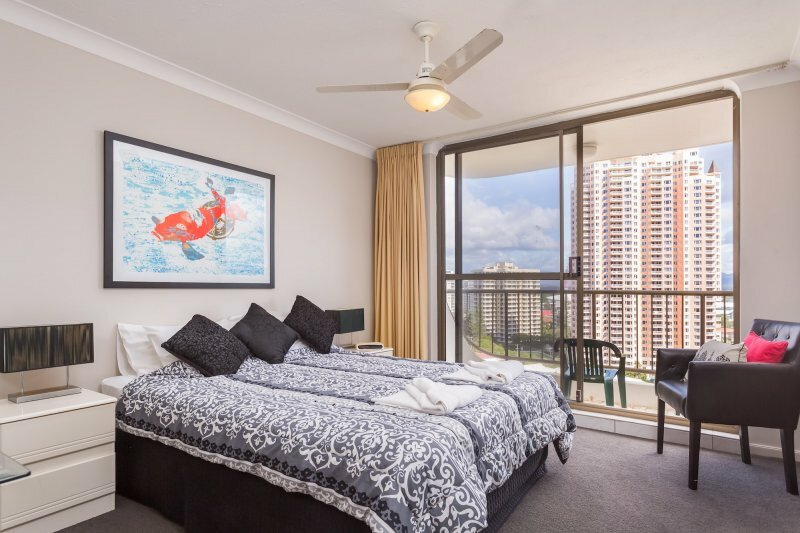 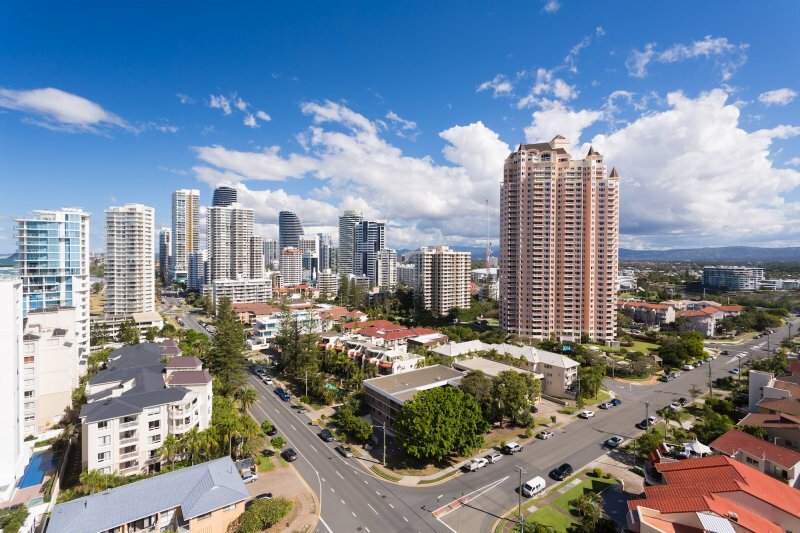 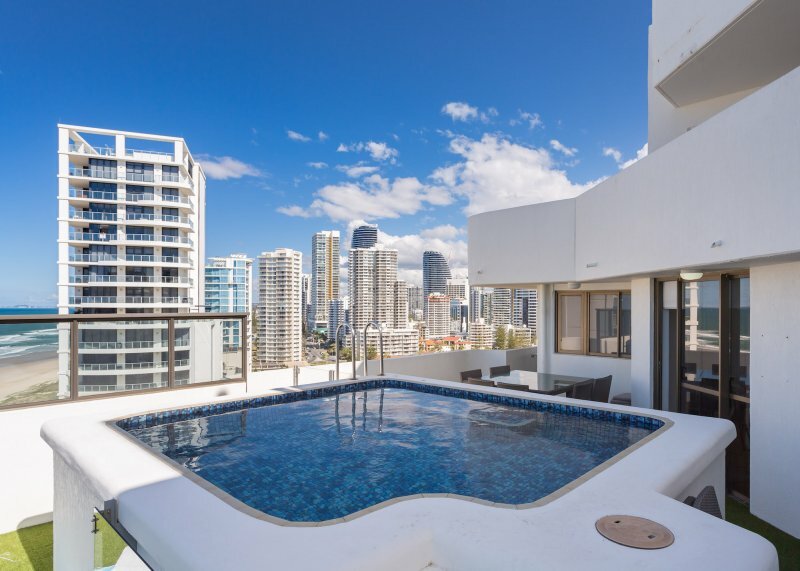 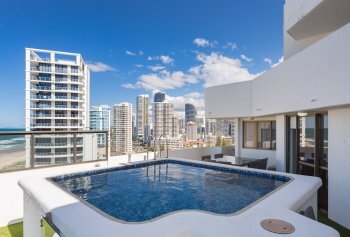 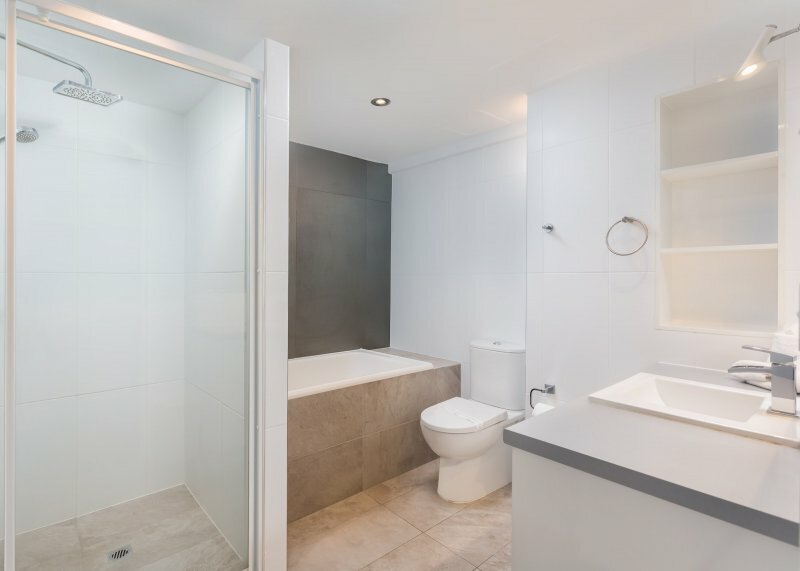 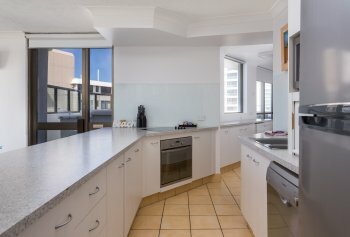 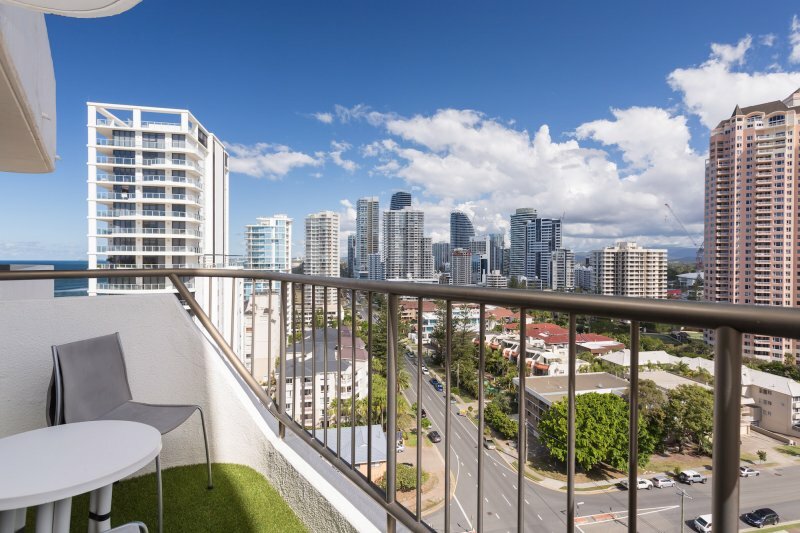 Perfect for couples on a Gold Coast holiday, our 1 bedroom apartment is spacious and full self-contained featuring a balcony that provides stunning views of the Gold Coast. 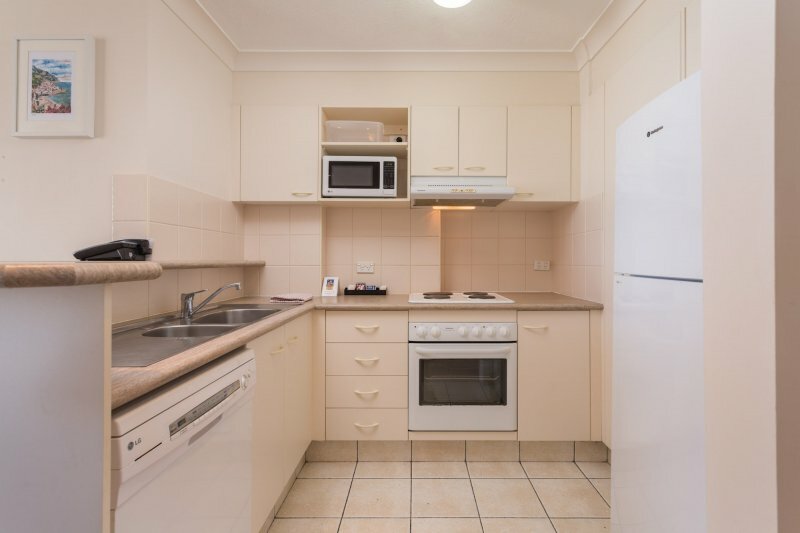 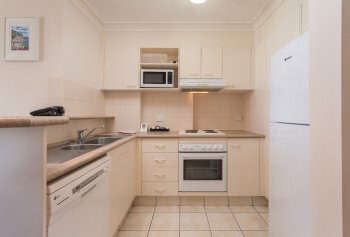 Each cosy unit has a full kitchen and laundry facilities, phone, satellite cable TV and ceiling fans throughout the apartment. 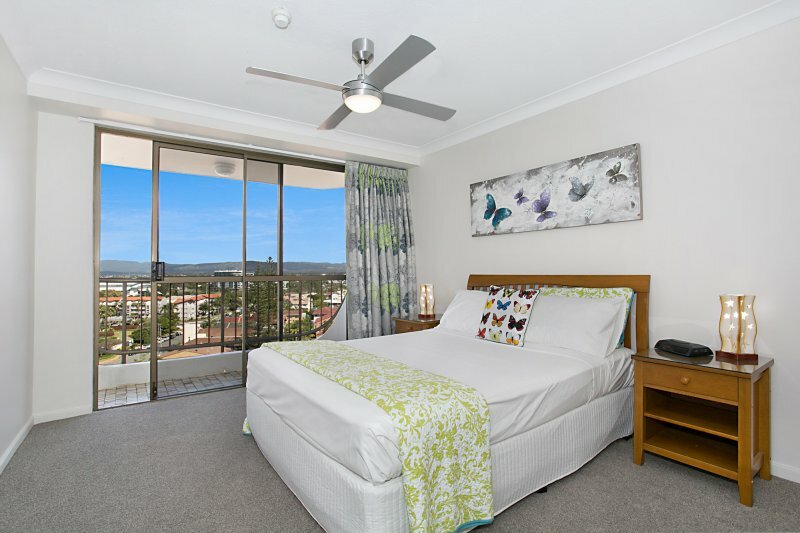 Our 1 Bedroom Apartments have 1 queen bed and sofa bed (available in several apartments). 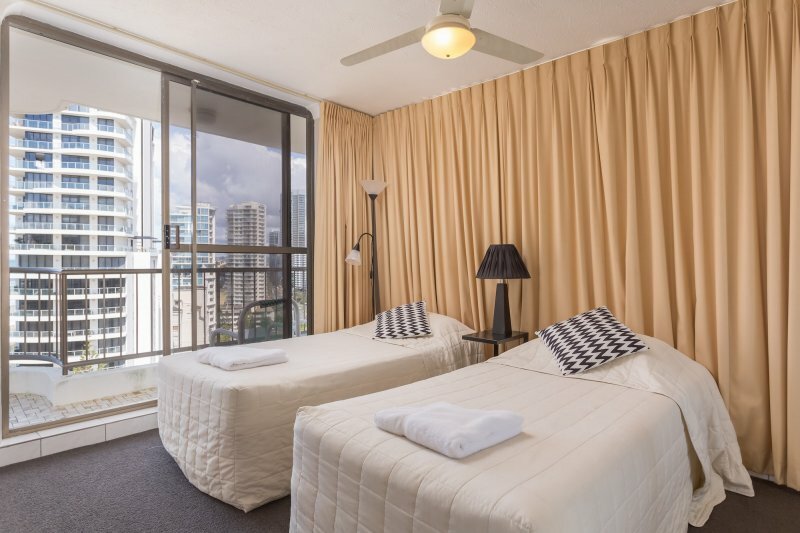 Some of our apartments have twin bedding on request. A maximum of 3 guests can be accommodated per apartment unit. 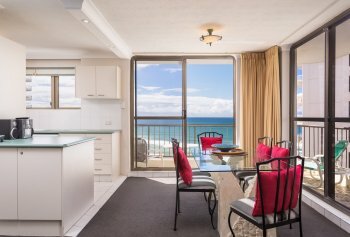 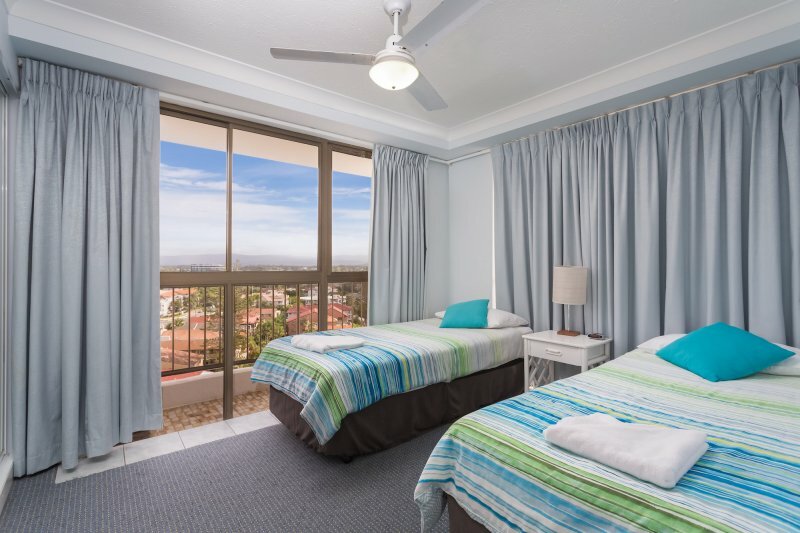 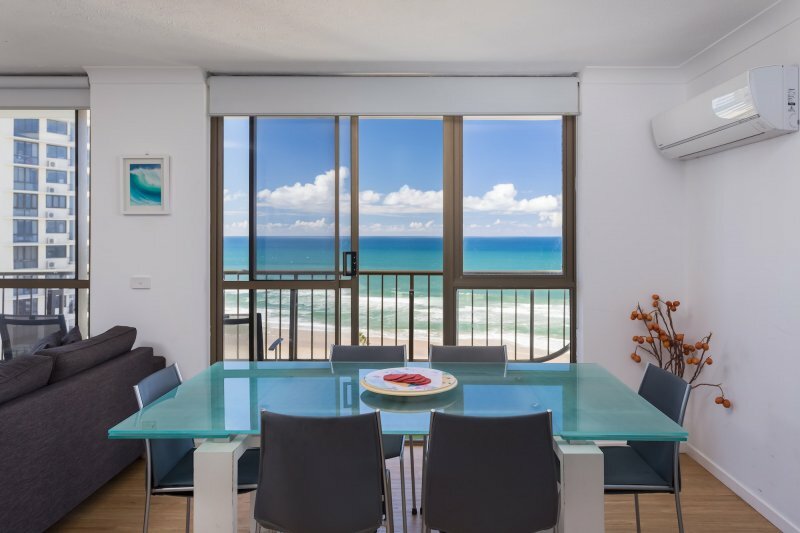 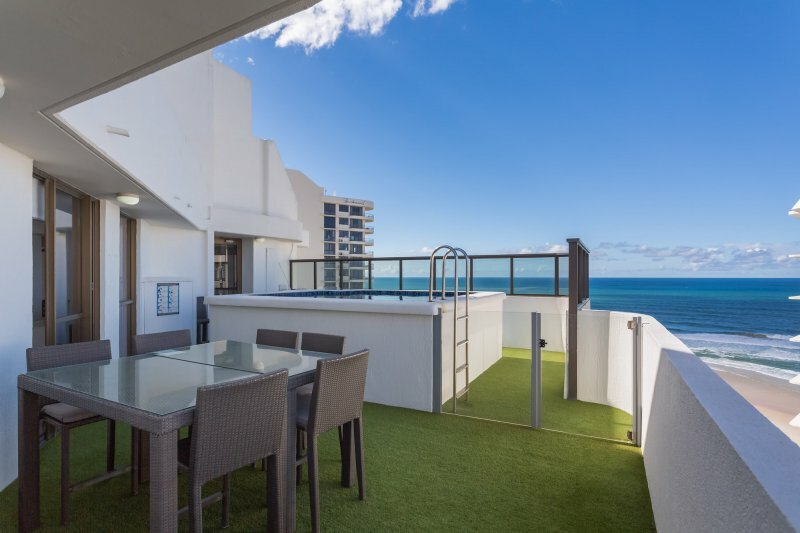 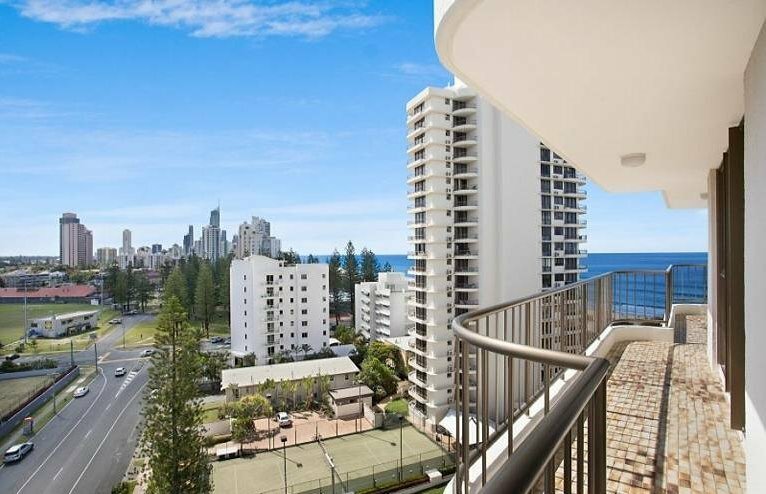 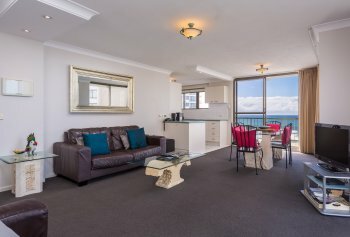 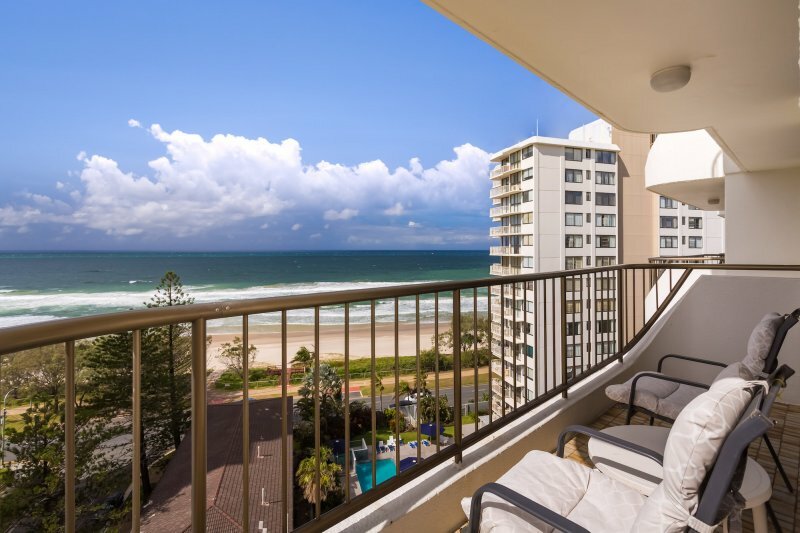 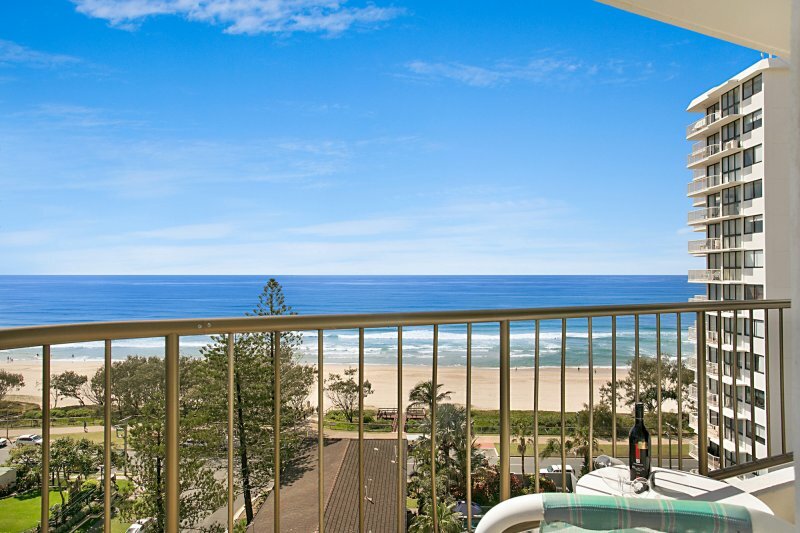 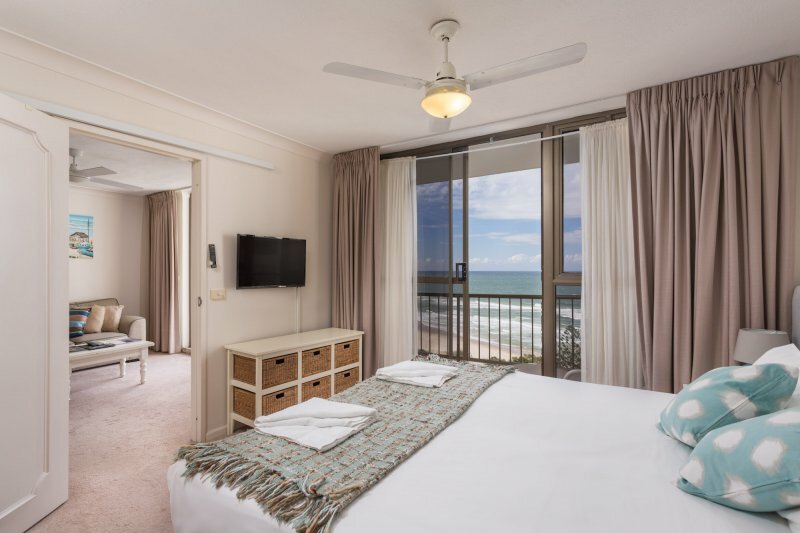 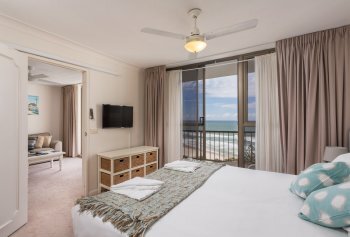 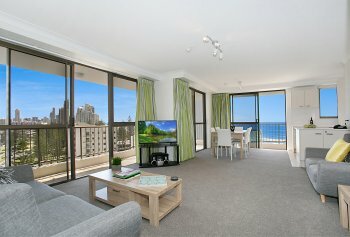 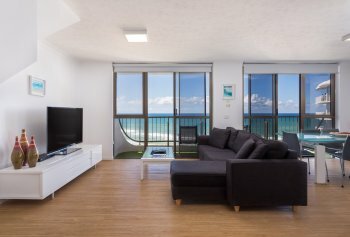 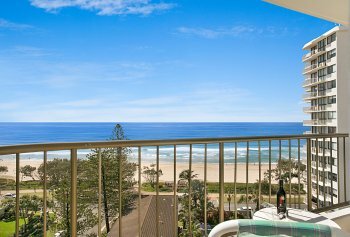 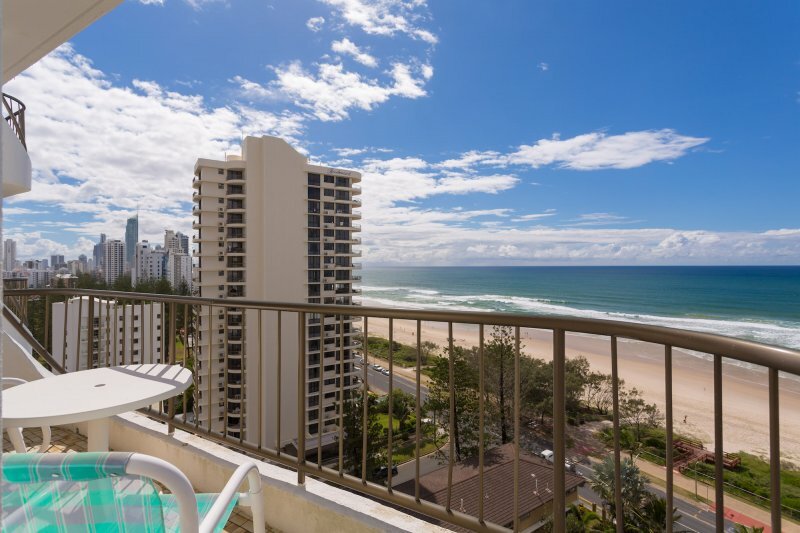 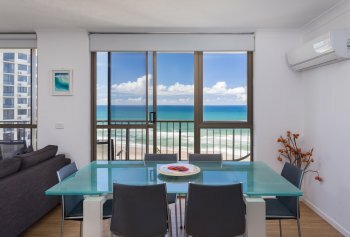 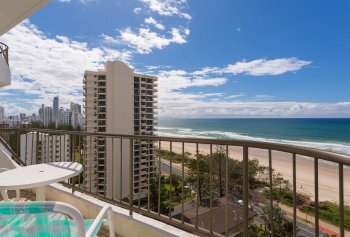 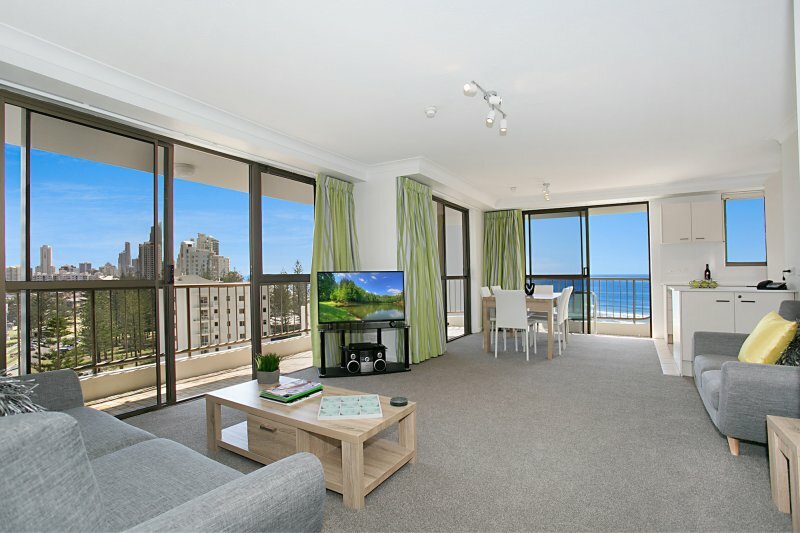 The 2 bedroom apartments at Ocean Royale are an excellent family unit with 2 bedrooms, 2 bathrooms and sunny balconies that feature the stunning views of the Gold Coast. 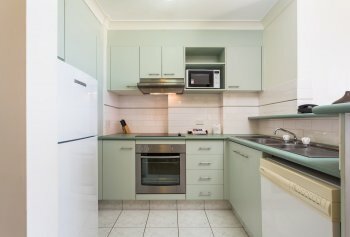 Each cosy unit has a full kitchen and laundry facilities, phone, satellite cable TV and ceiling fans throughout the apartment. 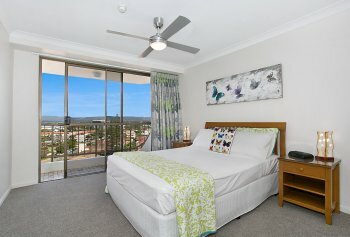 Our 2 Bedroom Apartments have 1 queen bed and 2 single beds. 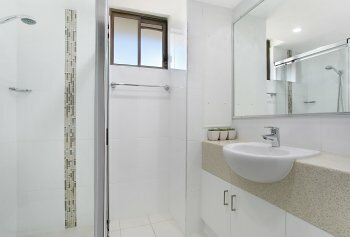 A maximum of 4 guests can be accommodated per apartment unit. Our lovely two bedroom apartment on the ground floor has a large patio. 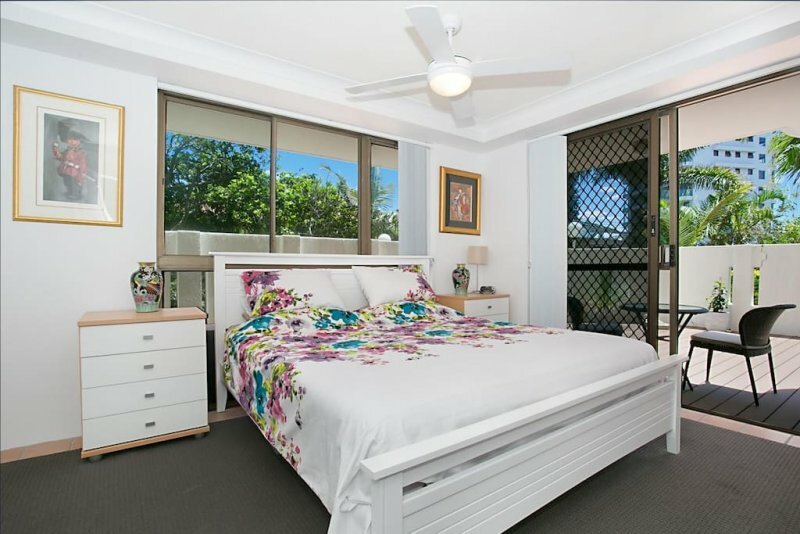 It also has easy access to pools - nicely renovated. 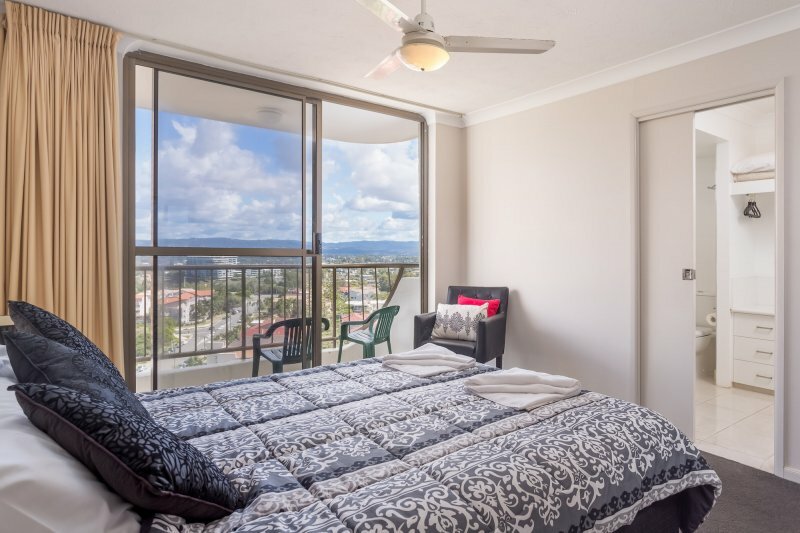 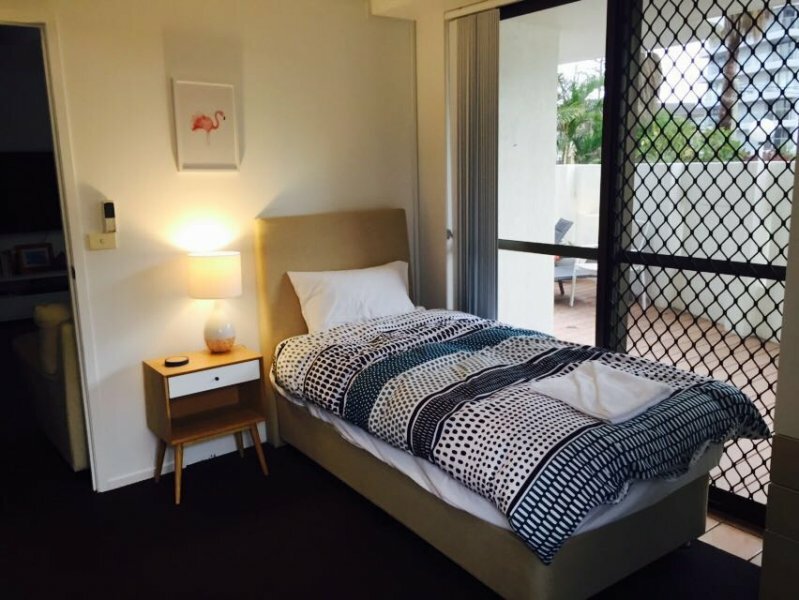 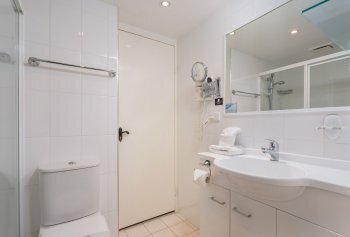 The 2 Bedroom Garden View Apartment have 1 queen bed and 2 single beds. The Penthouse has two levels and is situated on the southern half of Ocean Royale. The lower level is comprised of a master bedroom with ensuite, a single bedroom with twin beds, a full bathroom & laundry. This level also hosts the kitchen dining, and a small lounge area. 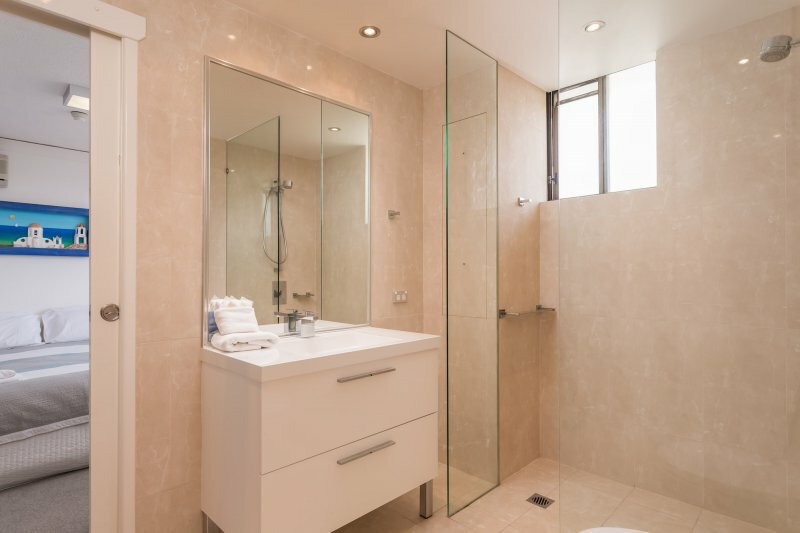 The upper level has a large lounge a powder room and houses the third master bedroom with it’s own bathroom. 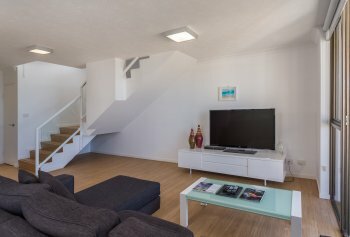 The unit boasts two deck areas, the upper level houses the Sauna and some seating, whilst the lower deck has the plunge pool and outdoor tables and chairs.